A century after the ratification of Prohibition, the United States Supreme Court heard oral arguments in a case that could have wide-ranging effects on the three-tier system. On Wednesday, the court heard arguments in Tennessee Wine & Spirits Retailers Association vs. Blair. At issue in the case is the constitutionality of the state of Tennessee’s two-year residency requirement for obtaining a liquor license. Additionally, the state requires a decade of residency for the renewal of liquor licenses, which expire after one year. Chain alcohol retailer Total Wine, along with Doug and Mary Ketchum, who moved to Memphis from Utah and bought a mom-and-pop liquor store in 2016, challenged the law and argued that it amounted to economic protectionism. Previously, a lower court sided with Total Wine and the Ketchums, ruling that the residency requirement violated the Constitution and the 21st Amendment’s dormant Commerce Clause, which was established to prevent states from engaging in economic protectionism. However, the case could have bigger implications should the residency requirement be overturned. Justice Neil Gorsuch wondered if ruling in favor of Total Wine and the Ketchums would welcome new challenges from out-of-state retailers, such as Amazon, who would argue that the current three-tier system discriminates against out-of-state residents by requiring them to operate physical spaces in the state. “But isn’t the next business model just to try and operate as the Amazon of liquor?” he asked. Carter Phillips, representing Total Wine, argued that his client operates brick-and-mortar stores within the three-tier regulatory environment. “All we are seeking to have is not to be discriminated against,” he said. Justice Elena Kagan also questioned Phillips on the potential fallout of a decision in favor of Total Wine and the Ketchums. Phillips suggested allowing potential challenges to play out. “We’re leaving a lot of things for another day, but they all seem to be demanded by the principles that you’re asking us to adopt,” Kagan said. 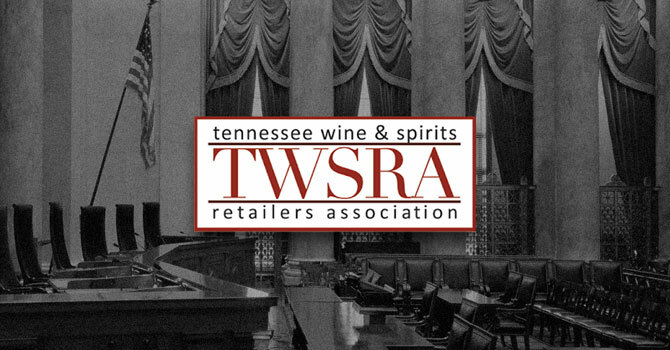 Shay Dvoretzky, representing the trade group the Tennessee Wine & Spirits Retailers Association, argued that the 21st Amendment — which repealed Prohibition in 1933 — granted states broad authority to regulate liquor sales as they see fit, as long as in-state and out-of-state products were treated equally. “I don’t think that there is an economic protectionism exception to 21st Amendment,” he told the court, according to a transcript. However, recently appointed Justice Brett Kavanaugh, a noted beer lover, told Dvoretzky that as written, the text of the 21st Amendment does not support the retailers’ reading that the amendment grants “virtually complete authority” to regulate alcohol sales. Instead, he argued that the amendment was intended to allow states that wanted to remain “dry” to do so. “Why isn’t that most naturally read to allow states to remain dry and, therefore, ban transportation or importation but not to otherwise impose discriminatory or, as Justice Alito says, protectionist regulations?” he asked. Meanwhile, Illinois solicitor general David Franklin, who appeared as a “friend of the court” in support of the retailers, argued a ruling in favor of Total Wine and Ketchums would lead to alcohol being treated like any other product. “But it’s not,” Franklin told the court. “Eroding this time-tested system could not only limit consumer choice, but it would also harm Main Street businesses rooted in their communities – businesses that have worked hard and played by the rules,” Purser said, in the release. “It’s a way to insulate the local business from out-of-state competition,” he said. Sorini added that he doesn’t believe the justices want a broad ruling due to the “physical presence” question. The court is expected to issue a ruling in the case this summer.